Wilmslow, a pleasant commuter town with a population of about 32,000, is situated on the southern outskirts of Manchester. It is within easy reach of attractive countryside both locally and in the nearby Peak District. The town is well served by the motorway network and by rail; Manchester Airport is nearby. A wide variety of housing is available in south Manchester, Wilmslow, Macclesfield and the surrounding Cheshire countryside. The town is mixed socially, with many areas of affluence and some communities of relative social deprivation. 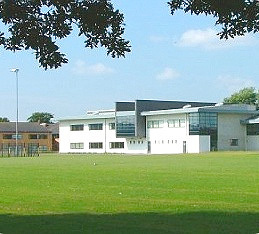 Wilmslow High School, an 11-18 comprehensive, is the only state secondary school in the town. It enjoys good relationships with the partner primary schools in Wilmslow, Handforth and Alderley Edge, from where the majority of our students come. The school is heavily oversubscribed in both the 11 – 16 sector and the sixth form, which has increased with more and more students from outside the town and from the independent sector of education seeking places. The school was designated as a specialist Sports College on 1st September 2003 and gained re-designation in 2008. The specialism now includes sports and the arts. Although specialism is no longer adequately funded, our specialism is at the heart of the school’s culture and ethos in raising participation, expectations and standards and underpins the school’s vision of continuing improvement in all areas of its operation. Wilmslow High School is a non-smoking campus. Wilmslow High School came into existence in September 1984 when the three comprehensive schools in the town merged to form a single school on three sites. Following a major development programme, the school was, at the beginning of March 1994, consolidated onto one site. A further, major extension, completed in September 2004, has resulted in new sixth form provision and enhanced facilities for Sport, Design Technology, Science, ICT, Business Education and ‘Student Services’. Current facilities also include two drama studios, an Olympic hall, a sports hall, gymnasium, dance studio, fitness suite and a music suite, food technology areas, newly refurbished science labs, a Library Resource Centre and a recently redesigned dining hall: increasingly, all accommodation is well serviced by ICT. Externally, and adjacent to the school buildings, are extensive playing fields including a floodlit all-weather sports pitch. The school makes use of the local Leisure Centre and Swimming Pool that are within easy walking distance. The environment is regarded as an important factor in encouraging students to learn. Additional facilities are provided as far as possible on an annual basis and in September 2007 a new Learning Zone for Languages, a new Astroturf, additional car parking facilities and new drains to improve the quality of some sports fields were completed. In 2008 the art curriculum area was completely refurbished and two science laboratories similarly updated. In the summer of 2010 a new sports hall named the ‘Olympic Hall’ and a small Astroturf were completed, adding to our already extensive sports facilities. In 2011, with the loss of capital for enhancing buildings we concentrated on refurbishment and our annual rolling programme of painting and decorating and re-flooring. The Pavilion extension opened in November 2013 as a new ‘learning centre’ providing impressive facilities for students with learning support needs, a suite of rooms relating to the Inclusion agenda, further facilities for sixth form study and another café. Developments are taking place within the town of Wilmslow and the school is fully involved with discussions and planning for these changes: these represent another exciting phase in the school’s development and improvement. A further Section 5 full OFSTED inspection in October 2013, under a different framework, found behaviour and safety of students and leadership and management to be outstanding, and quality of teaching/ achievement of students to be good. • The school and Head teacher make a significant contribution to school improvement in the locality and collaborate with other schools to share good practice. • The achievement of students for whom the pupil premium provides support and for those supported at school action plus is not as good as that of other students. The school works hard to maintain a culture in which learning is pre-eminent, which is ultra-professional and efficient, which is inclusive and participatory, which is prepared to undertake radical change in the pursuit of genuine quality and which acts in partnership with the community to promote appropriate values, individual growth and the concept of a ‘common good’. It is based on mutual respect for all staff and students with all people of equal value in Wilmslow High School and its wider community. The school operates a House System within Student Services, which is managed and led by four Heads of House supported by Student Managers. All staff are members of a House and contribute to the monitoring, guidance and support programmes and the extra-curricular life of the House. All staff are expected to give their full and consistent support to the maintenance of high standards of behaviour, discipline, appearance and uniform, upon which the school places a high priority. From September 2010 the school introduced ‘The Wilmslow Way’ to provide a refreshed support and expectations structure for students with ‘good behaviour leading to pride leading to success’ as the central theme.